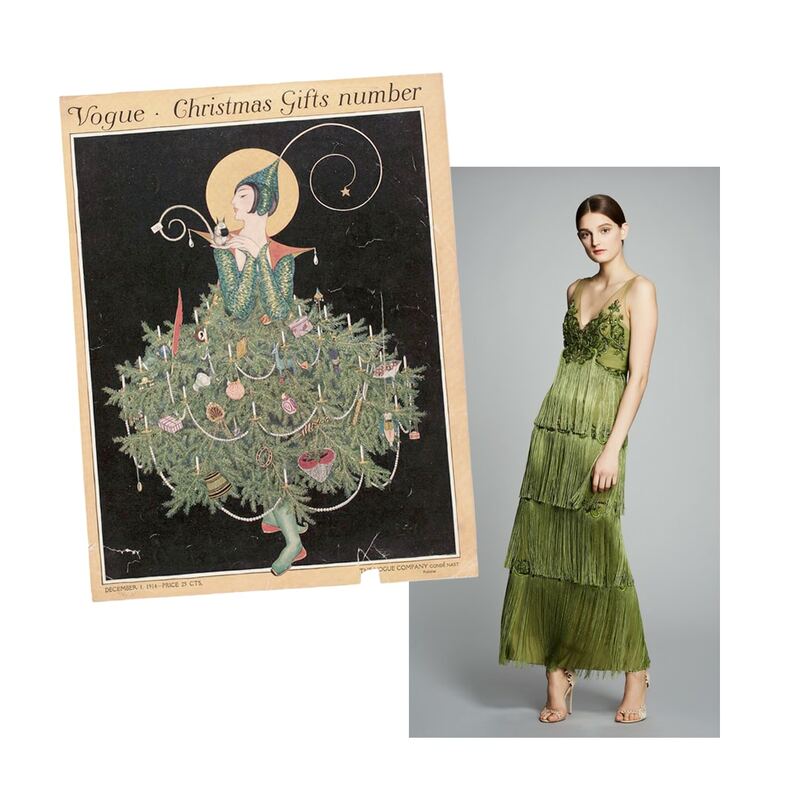 My kind of Christmas tree is the one that takes its shapes from a green Marchesa Notte dress. The swinging fringes of this evening gown, picked from the Pre-Fall 2017 collection, bring me to the 20s. I find this period particularly inspiring indeed; not only for its fashion trends (I suppose that you’ve already heard about flappers). 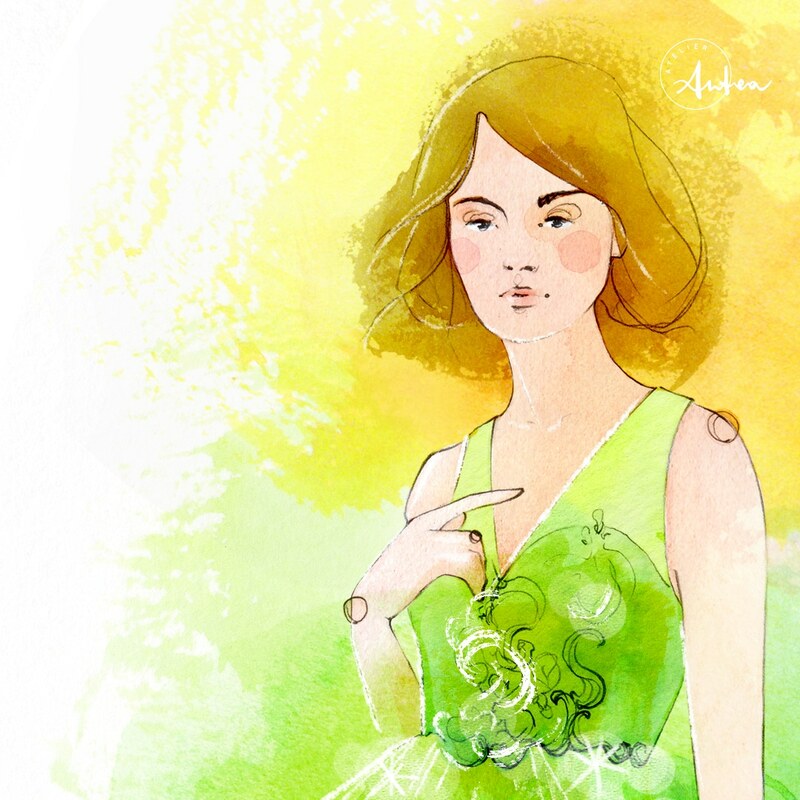 Well, the illustrations drawn at that time (which has gone down to history as the Golden Age of fashion illustration) are particularly evocative and imaginative, representing a huge font of inspirations and references for me. 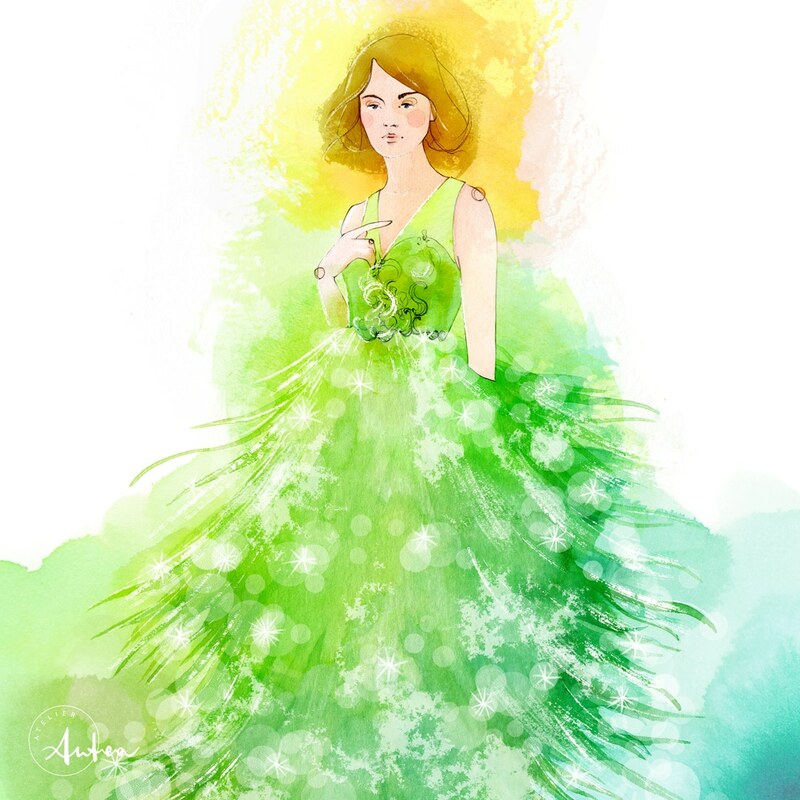 When I gaze at some vintage illustrated cover of Vogue or Harper’s Bazar (when it used to have only one A), it seems to me to stand in front of a fairytale. If you can’t catch what I mean, I suggest you to have a look at my Pinterest board. However, let’s get back to the main topic. With the aim of celebrating the incoming festivity, I tried to create the illusion of a fashionable, sparkling and a little snowy Christmas tree. It is also a tribute to one of my favorite authors from the early decades of the 1900s, George Wolfe Planik. He created an exquisite one in 1914, as you can see here. I hope you’ll enjoy both of them.